Flat bottom silos are commonly selected steel silos to storage bulk grains and other materials. 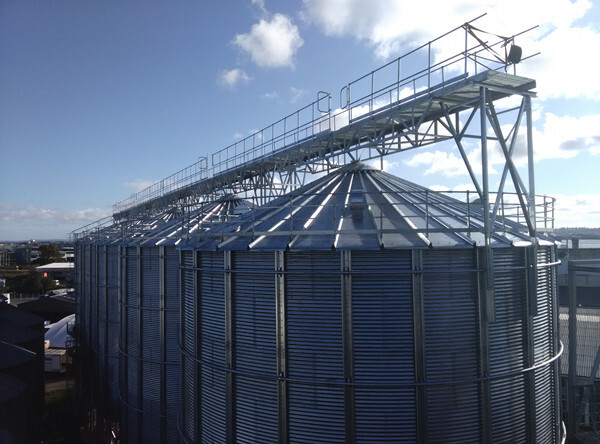 Large volume storage is its typical feature, the storage volume of this type grain storage silo ranges from 39 m³ to 29726 m³. 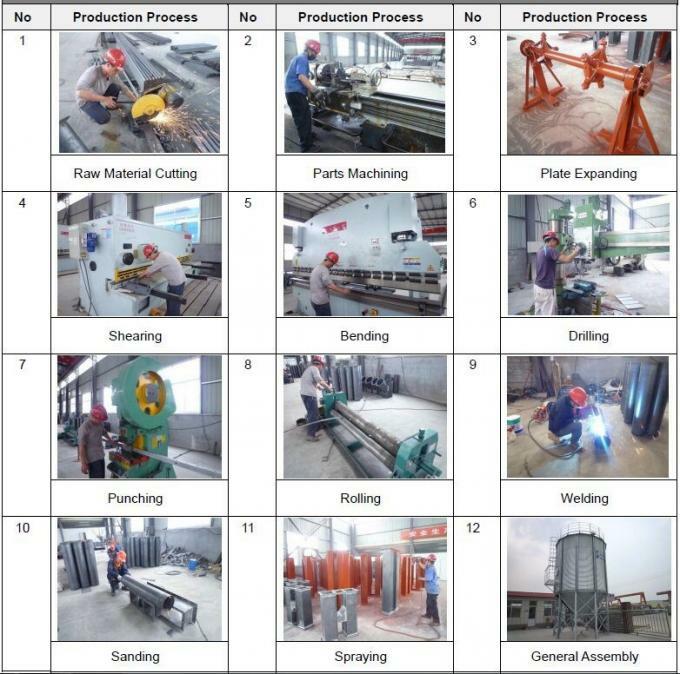 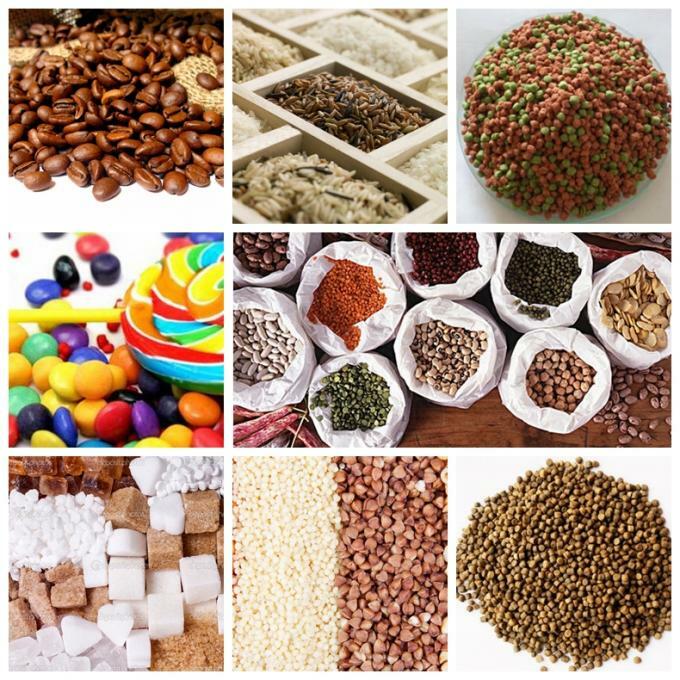 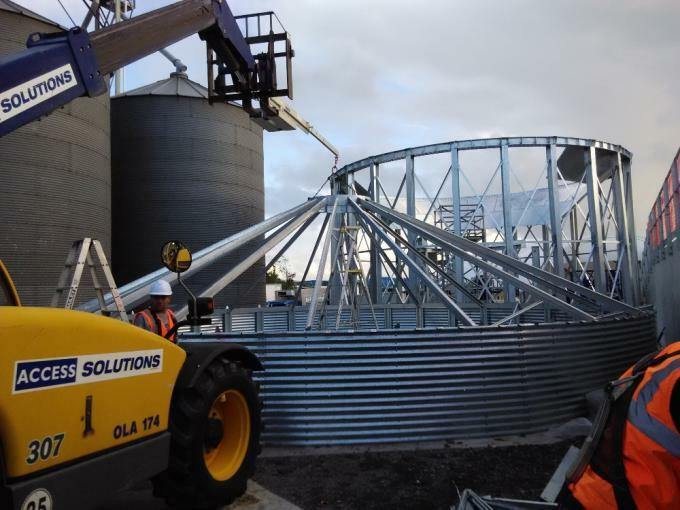 They are erected on flat or conical concrete foundations for long-term storage of large quantities of grain, seeds, pellets and granular products, etc. 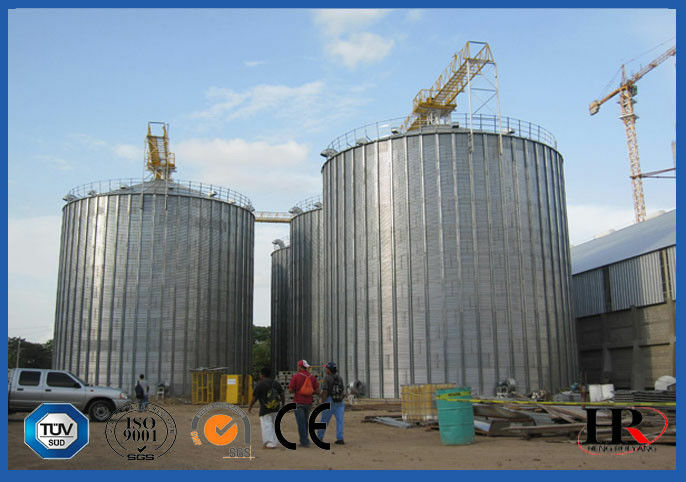 The flat bottom grain silos are made of high quality 275g/m2, 300g/m2, 350g/m2 hot-dip galvanizing coating steel sheets. 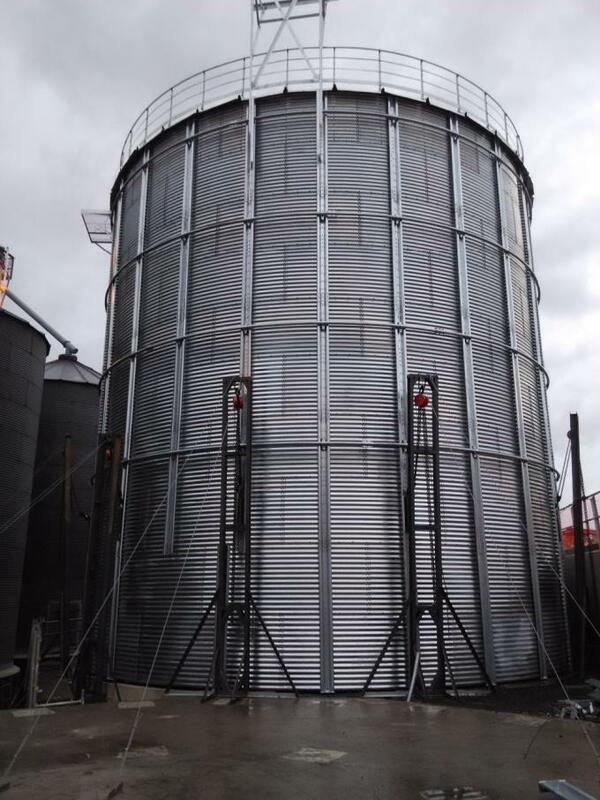 All our flat silos are designed, manufactured and installed in accordance with D-4097 or ASTM D-3299 standards. 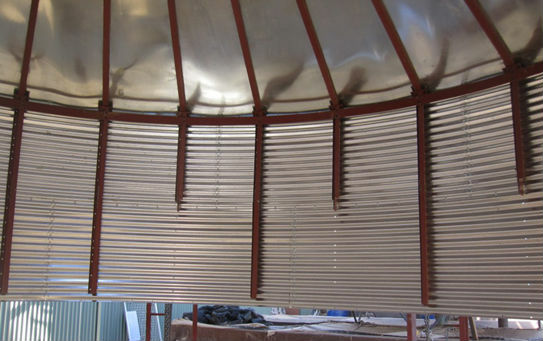 Corrugated steel 10000ton grain silos Roof is made up of radiated beam, roof cover board, tension ring, ventilator scoop, roof cap, etc.